Although bookkeepers view student fees through a desktop application, parents view school fees through a link in PowerSchool as described below. After a student’s demographic data has been verified a new button will appear in the left hand menu of PowerSchool labeled “Student Fees”. Click the “Student Fees” button in PowerSchool. 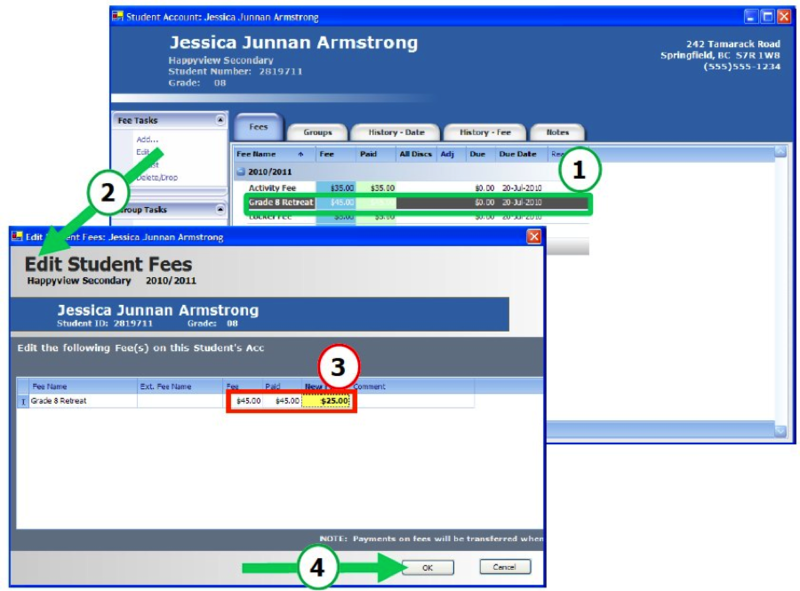 A new window will open to our payment system and the fee information for your associated student(s) will be displayed. Details on each student’s fees can be found on the tab with the student’s name. Optional items such as Yearbooks can be added by click on the “Blue +” buttons. To view all items including multiple students, click the “View Cart” Button. Click the “Checkout” button to pay via credit card (Visa, MC, Discover) or check. Click the “My Orders” button for a history of payments and to reprint receipts.